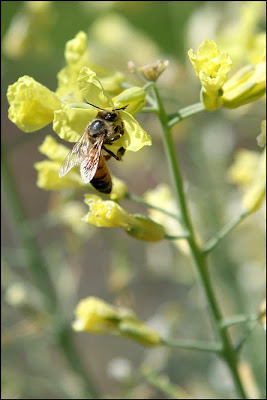 Letting the broccoli bloom attracts bees! Oh yum. I just imagined broccoli honey. Your emotional attachment to your broccoli and it's sundry life stages is a joy to behold!